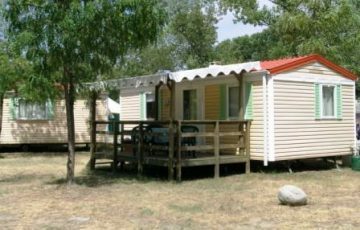 Find the Mobile Home you are looking for! 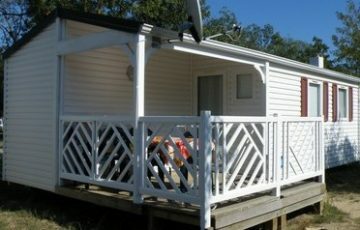 Discover our wide range of comfortable mobile homes. 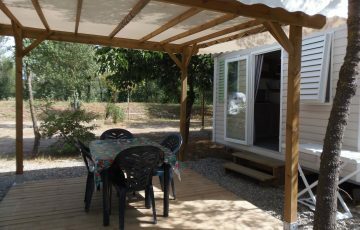 A home away from home where you can enjoy your holidays in the Pyrénées Orientales, near the Spanish border. The balance of your accommodation is payable in full30 days before your arrival. No reduction for late arrival or early departure. Bed linen is not provided. Pillows and blankets can be hired (€6/blanket/stay and €3.40/pillow/stay) or bring your own. An inventory will be made on your day of arrival. The cost of any damages will be deducted from your security deposit or will be invoiced separately. The region is truly magnificent with luxurious scenery, mountains and enchanting lakes. Not to mention the number of distractions available. And for a successful holiday, you need high-quality services and facilities. 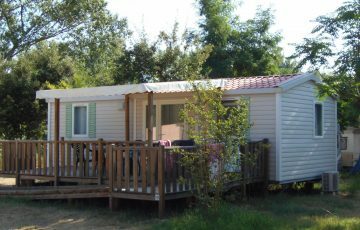 That’s why our team proposes spacious 16m2 mobile homes for two people, and larger mobile homes up to 36m2. And there are covered or partially-covered terraces from 8m² to 15m². Perfect for enjoying the sun with some shade! But if you don’t like the hot weather, don’t worry: some of our little houses have efficient air conditioning. Sleep in a cool and refreshing atmosphere. 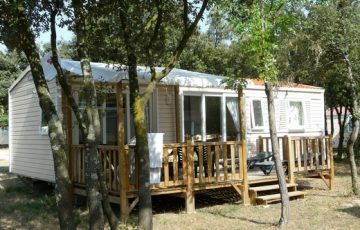 And our disabled guests will appreciate our 32m² mobile home with access and air conditioning. We do our utmost to make sure you are comfortable during your stay. 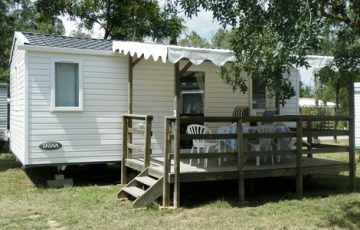 And each of our mobile homes has a kitchen where you can enjoy cooking. Open on to the terrace for a sociable atmosphere, there is a sink, hotplates or a gas stove and microwave. Shower and handbasin with separate toilets in some models. Facilities also include an electric coffee machine and fridge. And you don’t need to bring crockery. Everything you need is on-site. Storage for food and supplies. Other bonuses: Certain mobile homes have TV, double convertible benches (ideal if you have surprise guests), a freezer. 3% of the total of your accommodation. 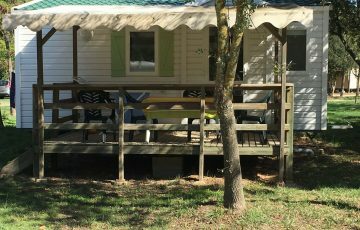 All bookings require a deposit of 30% of the total of your accommodation. A €400 security deposit is payable on your arrival. Occupants can choose to clean their accommodation themselves or pay a set cleaning fee of €50. Dishes must be washed and accommodation basically clean. Electricity and gas are included in the rental. The rental booking is confirmed when the management has addressed their confirmation in writing which must be presented on the day of arrival. Any late arrival or departure is payable. In the absence of information about a late arrival, the booking will be held for 48 hours. 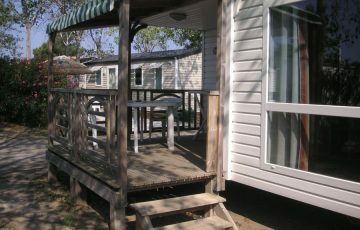 Beyond this time, the accommodation can be given to another occupant. 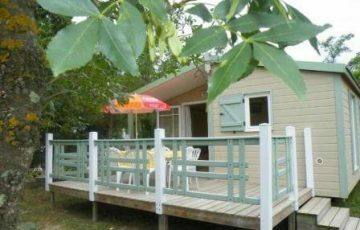 In the event of a no-show by the occupant, the security deposit and booking fee will be retained by the campsite.